Look for the ASHI logo when choosing a home inspector. The American Society of Home Inspectors (ASHI) is the national professional organization of home inspectors with members throughout the United States and Canada. ASHI's mission is to meet the needs of its membership and promote excellence and exemplary practice within the profession. ASHI's Standards of Practice and Code of Ethics are to be followed by its membership. 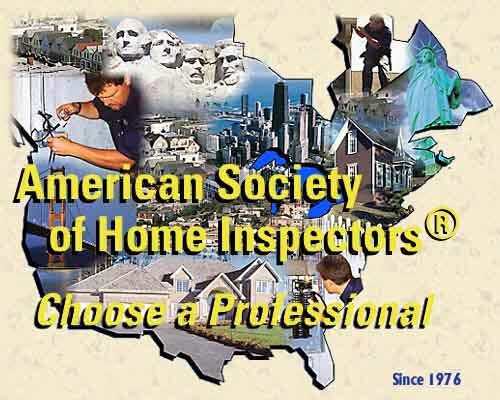 The American Society of Home Inspectors was formed in 1976 as a not-for-profit organization to build public awareness of home inspection and to enhance the technical and professional performance of home inspectors. It is the oldest and most respected professional association of home inspectors in North America, representing its membership and the profession as a whole in areas of education, marketing, and communications. Choosing an ASHI inspector means choosing someone you can trust to objectively and independently provide you with a comprehensive analysis of the home’s major systems and components—apart from anyone's interests other than your own. ASHI members know houses, ensuring that you can find a home inspector. They are trained to objectively communicate to you, the home inspection buyer, what the house has to say. ASHI members have demonstrated technical proficiency and report-writing skills, and they have committed to continuing education in order to achieve and maintain their member status. ASHI members also know about service, so we’ll help you find an inspector. They've reviewed feedback from homebuyer surveys conducted by ASHI asking consumers what they want from a professional home inspector. So they know ASHI wants and cares about feedback from consumers on how our members are doing. Members are committed to conducting inspections in accordance with the ASHI Standards of Practice; committed to abiding by the ASHI Code of Ethics and are dedicated to providing superior customer service. ASHI Members deliver more than a home inspection, they deliver the ASHI Experience. Homebuyers are not the only people who hire ASHI Inspectors. Homesellers also use ASHI inspections to gain knowledge of the condition of their home before placing it on the market. Smart homesellers know that knowledge about their home’s condition makes the selling process more palatable.